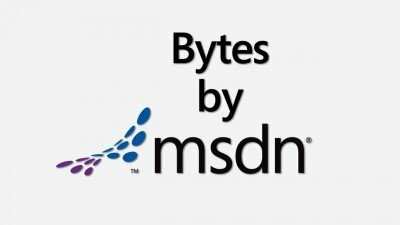 Microsoft has launched Bytes by MSDN and Bytes by TechNet – a series of interviews with the brightest and the best amidst the developer and IT Pro community and Microsoft. Each interview shares tidbits on the latest technologies and announcements, providing you resources to keep your skills cutting edge. The first set of interviews were recorded at Microsoft Tech·Ed 2010 event in the US. Listen or watch 18 influential community and Microsoft developers interviewed at Tech·Ed 2010 talk about mobile, the cloud, the client, and a variety of additional topics that they are passionate about. Make sure you check back weekly for the next installment in the series or subscribe and take it on the go. IT Professional Evangelists Keith Combs, Chris Henley, Matt Hester and Harold Wong interviewed 19 influential IT Professionals from Community and Microsoft at TechEd NA 2010 about Windows 7, Windows Server, Windows Azure, SQL Azure, BPOS, SharePoint 2010, Office 2010, Exchange Server 2010 and SQL Server 2008 and a variety of additional topics that they are passionate about. Listen or watch interviews and check back weekly for the new installment in the series or subscribe to the RSS feed and take it on the go.